To fully understand and appreciate the Agent Pendergast novels, you have to look at them in terms of thematic story arcs. The first four novels, ending with Still Life With Crows, were largely standalone supernatural thrillers, distinguished by their magnificently eccentric protagonist. The Diogenes trilogy began a thematic shift towards a gothic sort of family drama, and that shift became the dominant thematic arc of The Helen trilogy. 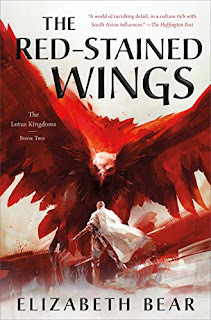 The three novels that followed were something of a throwback, returning to the series' standalone roots, but there was another significant thematic shift involved. 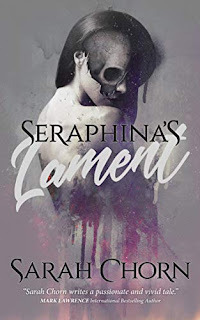 Not only did those books drop much of the supernatural element, but they largely shifted Pendergast to the sidelines, allowing characters like Corrie Swanson and Constance Greene to take the lead. With The Obsidian Chamber, there's less of a thematic shift and more of a thematic blending. 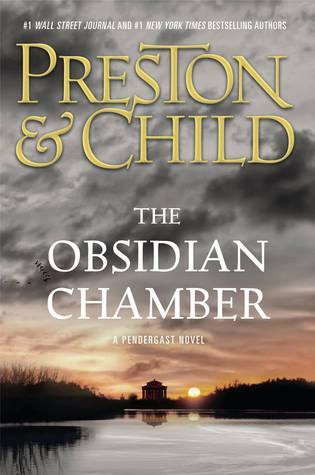 Douglas Preston and Lincoln Child once again pick up the threads of that gothic family drama, while still keeping Agent Pendergast on the sidelines for much of the story, creating a story that's still fresh after sixteen outings. This is a hard story to talk about without getting into spoilers, so I'll keep my observations high level. While we've seen Constance take the spotlight before, it was a nice change of pace to see Proctor play the action hero here, forced into action following the disappearance of Agent Pendergast at the end of Crimson Shore. Similarly, the role of the FBI here is interesting, especially in how they acknowledge Pendergast's reputation and deal with his rather colorful history. It's a nice mix of bureaucratic scorn, hero worship, and comradeship that adds a new dimension to the tale. As for the gothic family drama, while I thought that was largely exhausted, there are some interesting twists on the theme here, taking the story in some surprising directions. It focus does make for a slower story than we're used to, placing the emphasis on character-driven drama and mysteries of motive, but it kept me guessing. I had to really think about the ending, but as much as I felt it was clichéd to leave it so open ended, I quite appreciate the difficult sort of self-reflection that made it necessary. 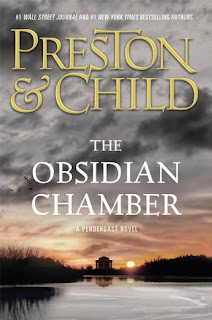 The Obsidian Chamber is one of those books written for fans who already have an appreciation for the characters and the drama that's come before. It's not that it's not accessible to new readers, it's more that you need to understand the significance of events - otherwise, I'm not so sure the story stands on its own. 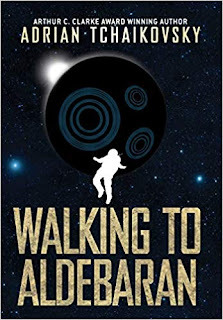 While it's not as good as Blue Labyrinth, my favorite of the recent novels, it does serve as a nice companion piece that pulls the themes of the series together.